Introducing my new flute by Seery Flutes! It's a beauty. It plays strong, easy and perfectly in tune. I can't say enough good things about it. Mine is the delrin model, which I like, as it is basically bulletproof... and you can defend yourself with it! Having said that, it isn't heavy. The turning on the outside has been refined compared to older models I've seen, especially on the head joint, where more material has been subtly removed but it remains thicker around the embouchure. 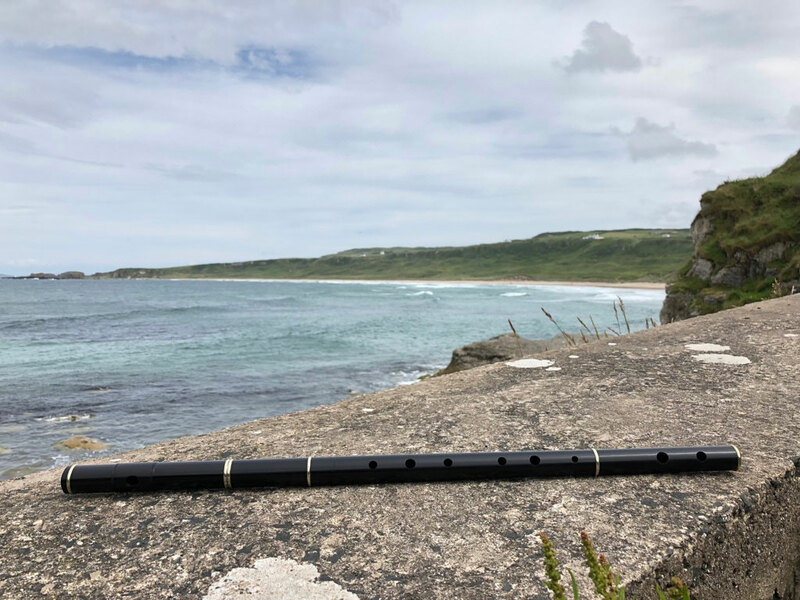 If you are a flute player you are probably familiar with these flutes, they are a popular, affordable (and incredibly well playing) alternative to the traditional wooden flute. Sadly Des passed away in 2015, which I just found out at Scoil Samhraidh Willie Clancy. I am proud to say that I met him. He lived in Bray, close to my family. I brought him some California cane several years ago for his reeds. He was a gentleman and wonderfully cheery soul. Fortunately, his legacy continues! Desi once dropped into our session in Lanzarote of all places. He played a few airs very robustly on one of his own whistles. and Desi picking him on a motorbike to take him to his workshop to select a flute. Glad to hear his flute line has continued.